This Alien Tie Clip is a great accessory! 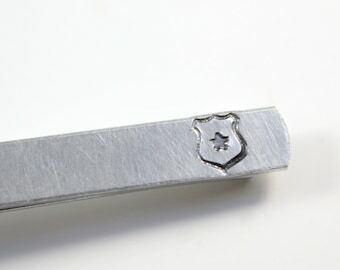 Perfect for the true believer or sci fi fan! 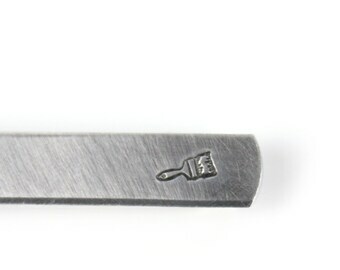 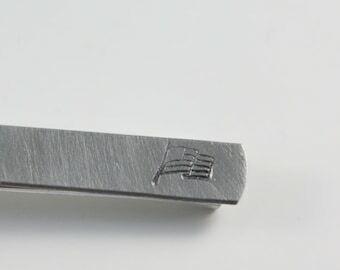 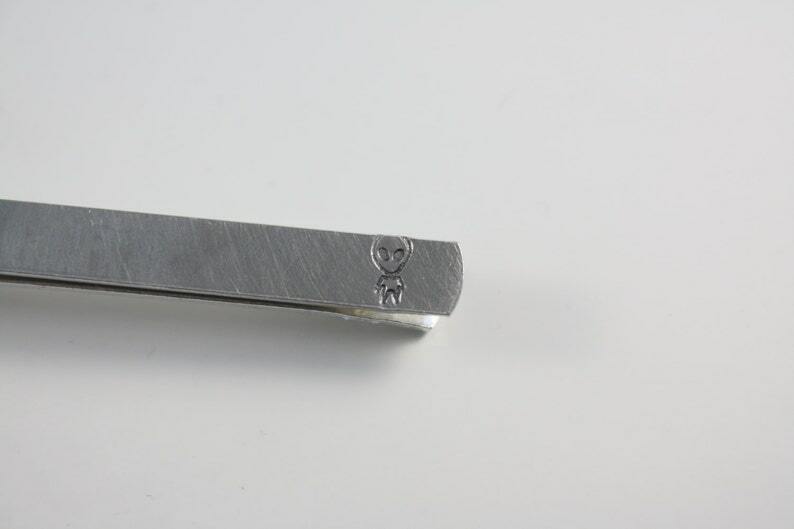 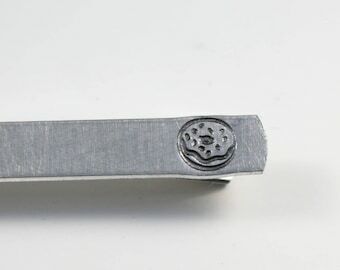 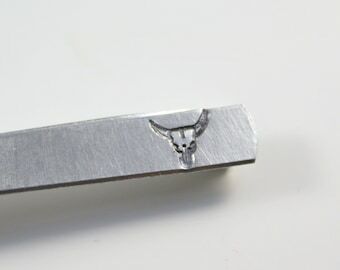 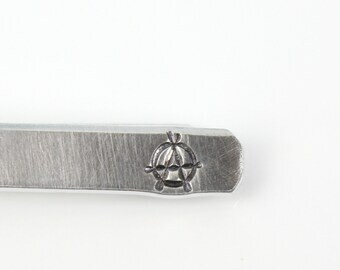 An aluminum, brass or copper base will be hand-stamped with the alien stamp as shown and then formed into this tie bar. 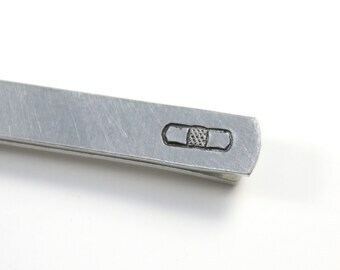 It can hold 10-15 characters on the back and measures approx. 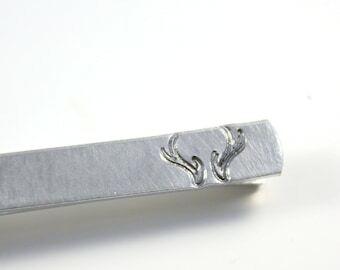 1/4" x 2.5" or 1.5" when complete (may vary slightly due to the hand formed nature of this piece). 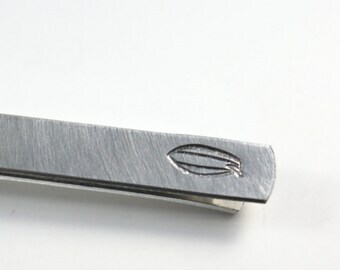 This design is given a brushed finish shown in the photos. 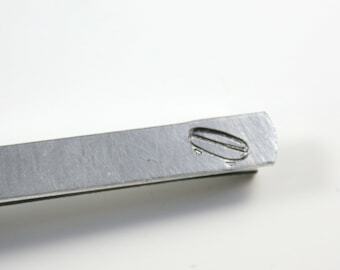 Aluminum is lightweight, but sturdy. 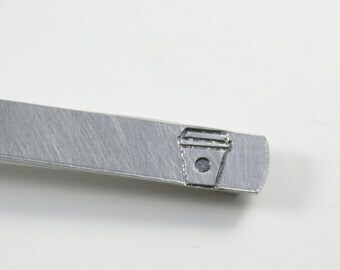 It will not tarnish and is a wonderful alternative to silver.